Publishers, like many other businesses, need to manage various forms of risk, including the basic business model, financial operations, contingency planning, insurance coverage, and succession planning. When you manage your company’s risk, you are managing for its future. Managing risk is always a question of balance. Reviewing your basic business model involves scanning the environment to identify and quantify the markets and niches you are in, evaluating how they are changing in terms of current and future needs, and then assessing your company’s mission to see if it needs to be revised. Prepare a financial model with operating percentages and rules of thumb, and compare your figures against industry norms such as the Huenefeld survey. Will your current financial model work? What risks do you face with regard to revenues and expenses? Does your model work under adverse circumstances? An annual business plan and/or strategic planning session based on your answers to these questions will help mitigate overall business risk and keep you pointed in the right direction. To manage financial risk, review your income statement and balance sheet along with contingent liabilities and contracts. Managing risk here relates to making informed decisions about revenue generation and costs, as publishers do daily when they decide what books to publish, authors to work with, advances to pay, inventory purchase levels to maintain, and so on. Outsource when possible to leverage both capital and human resources. An adequate ongoing profit, which implies that diverse areas of the company are under control and in balance, is the best way to lower risk. Managing risks related to contingent liabilities and contracts requires documenting all your business relationships—intellectual property agreements, distribution agreements, sales agreements, and employment agreements. Two of the best tools for helping a smaller, independent company survive are a written succession plan and Key Executive insurance with the company as beneficiary. For a relatively small cost, you can purchase $500,000 to $1 million of Key Executive coverage. In the event of a catastrophic accident, the payout could be used to hire professional management to see the company through transitional times. Perhaps more valuable than health or life coverage, disability insurance can pay a large portion of an employee’s (or owner’s) salary for many years, and it costs very little more to cover all employees instead of just one individual (typically the owner). Too many smaller companies discover trusted employees have defrauded them, usually in the accounting area, where they have access to funds and computer systems. To prevent or identify this problem, ensure adequate separation of duties for banking, accounts payable and accounts receivable; schedule internal control reviews by your accountant; and get audited financial statements as soon as you can afford them. Also, put fraud protection in place for at least the highest amount of money you have in your cash accounts at any given point in time. Any company’s future depends on management’s ability to move it to the next generation or owner. This area of risk management calls for planning well in advance of a need to implement succession strategies. Publishers must devise exit strategies for themselves, and for employees who count on the company to provide their salary, health insurance and other benefits. Publishing is a risk. Taking any action is a risk. Not taking action is often a greater risk. 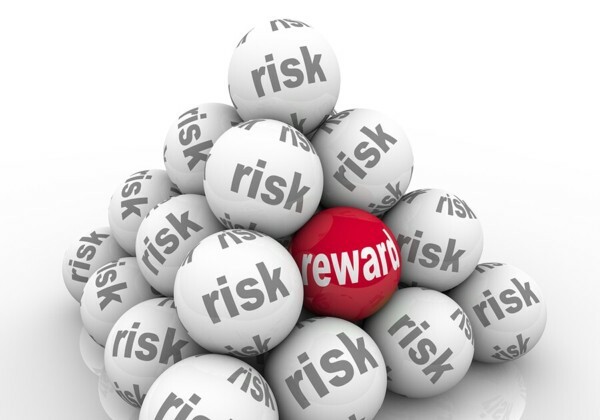 Understanding your overall risks will help you make better management decisions. Experienced executives manage their businesses by knowing their risks and keeping them in balance. The Siburg Company, LLC is a boutique consulting firm specializing in the areas of financial and operation consulting, business development and mergers and acquisitions.